The 808 Urban and POW! WOW! 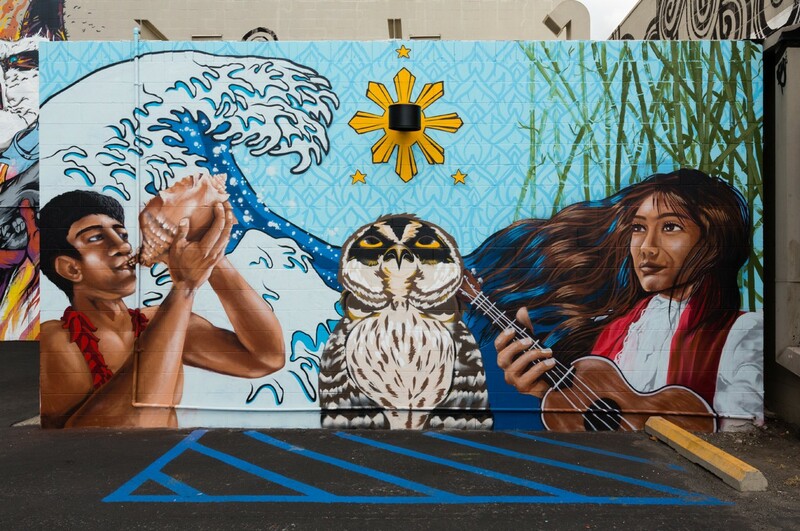 Hawaii School of Art culminates into the students being able to conceptualize and paint their own mural. This is that mural. Located by the Starbucks on Ala Moana boulevard.